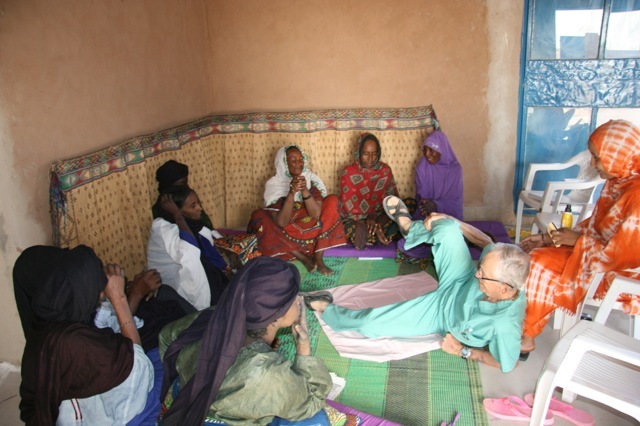 Six new midwife trainees (called matrons in Niger) arrived for a training session conducted by Dr. Bob Skankey, Achicha, Ali, the nurse practitioner who runs the clinic, with the help of the three previously trained matrons. The new group had a lot of practical experience, but no training. 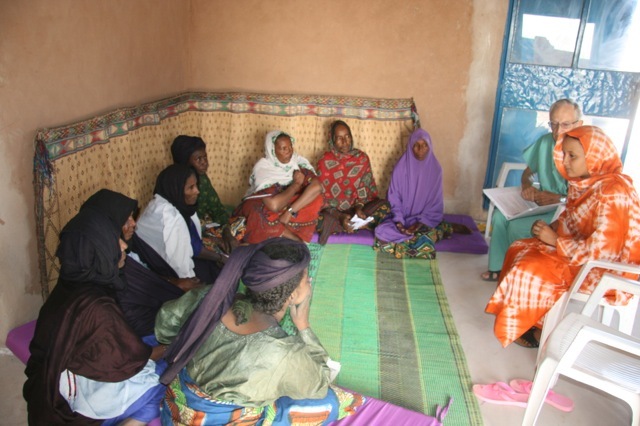 All have seen women die from post partum hemorrhage and none had the habit of washing their hands before a delivery. We started with discussions of prenatal care, nutrition, hydration, the importance of going to a clinic during pregnancy (we promised each pregnant woman a mosquito net if she come to the clinic during pregnancy), a plan for evacuation of the pregnant woman in case of serious problems and the importance of communications with our clinic with the telephones they are issued were covered in the morning session. Usually the mornings are spent in discussion and the afternoons in action. 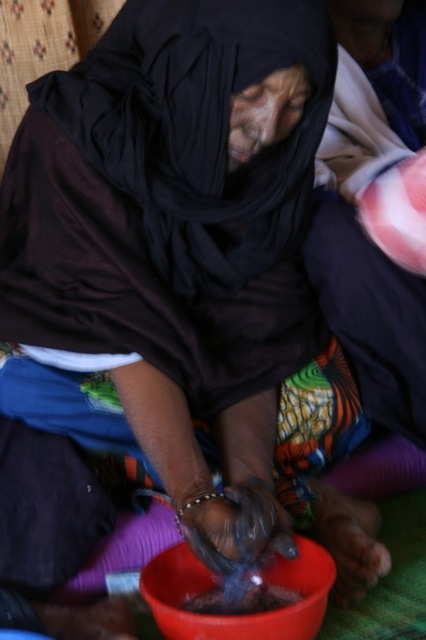 Hand washing was demonstrated by Azarra, previously trained matron from the Wodaabe community of Foudouk. 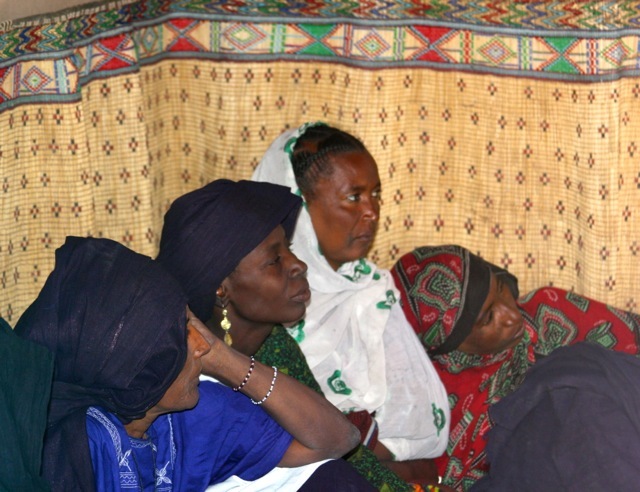 The Tuareg women, because of the indigo veils they wear, always turned the water blue. 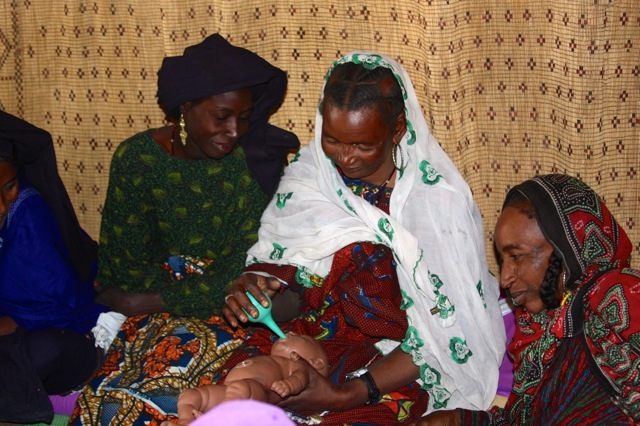 The cloth we provide for the birth is washable so cleaning it with a betadine solution was demonstrated. Far more entertaining, however, was Bob’s demonstration of its use in the Tuareg birthing position: on the side. Then they got to struggle putting on the gloves. Tying the off the umbilical cord was easy for a nomad woman used to tying knots for packing her things on a camel, embroidering or doing intricate leatherwork. Figuring out which way bulb suctioning worked was more challenging–they usually pumped stuff into the babies mouth instead of taking it out–but with the help of those already trained–finally got it figured out–after plenty of giggling.